Knitting Like Crazy: Sock-Yarn Shawls II is here! Sock-Yarn Shawls II is here! The day has finally arrived! 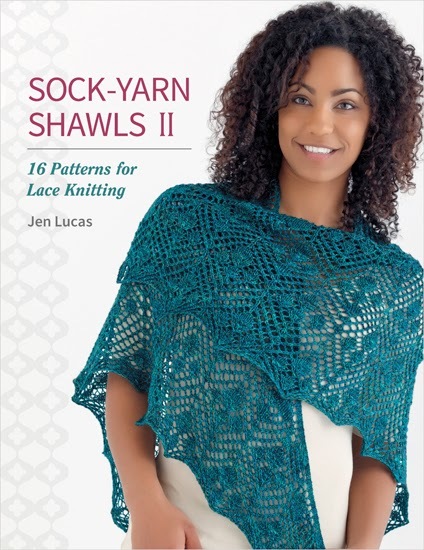 Sock-Yarn Shawls II has starting shipping to yarn store or book store near you! The e-book will be available on Ravelry as well in coming days. We will be having a little Sock-Yarn Shawls II KAL in February on Ravelry. So, if your haven't already, join the Ravelry group so you can join in the fun! I am so excited that the release day is finally here. I hope you love this book as much as I do!